Make a stylish statement with a custom bomber jacket. These handmade and exclusively personalized bomber jackets are custom-made to your design. Customize your own jacket online with art, photos, and words. It's easy and fun to design your own bomber jacket online in our design system. Customize your own bomber jacket for yourself or as a special gift for a loved one and bring out their personality for the world to see. With 5 printable areas, 9 sizes and 3 fabric finish options, your personalized bomber jacket is the canvas for your creativity. Brought tears to his eyes! The jacket I purchased was everything I expected! It was a birthday gift for my husband, and he absolutely loved it. It brought tears to his eyes and of course mine as well. It was a little confusing at first trying to design it on my phone but once I used the computer I was able to see that the company preferred this method, and it was an easy going process. We will both be order again soon! Awesome experience. Completed and delivered lightning fast. Quality is top notch. This water-resistant matte fabric has the classic bomber look. Breathable waterproof outer, and a warm quilted lining. 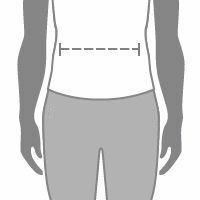 Choose black, white or gray using our trim option to change the color of the rib, lining, and zip. High quality Italian polished metal zip. A stylish statement, luxurious shiny Duchess Satin. You can select the color of the rib and zip (black, white or gray) but the satin lining will be black for the grey and the black options, whereas the lining will be white for the white ribbing. Hardwearing Italian polished metal zip. Due to the superior finish and high quality of the satin material, there is a small extra charge with this option as it takes additional time to make by hand. Note: While you can choose the color of the zip tape on your bomber jacket, the zipper and zipper pull will be a silver Italian polished zipper. By using our easy to use online design system, anyone can create a custom bomber jacket that is sure to fit your style and personality. Our casual, yet flattering fit comes in sizes XS to 4XXL plus size bomber jackets. These jackets go well with anything from jeans and sweats, to leggings and skirts. Our handmade bomber jackets are cut and sewn from several parts, all of which are available for you to customize. Make your own bomber jacket with your personal twist, it will make a great addition to your wardrobe. 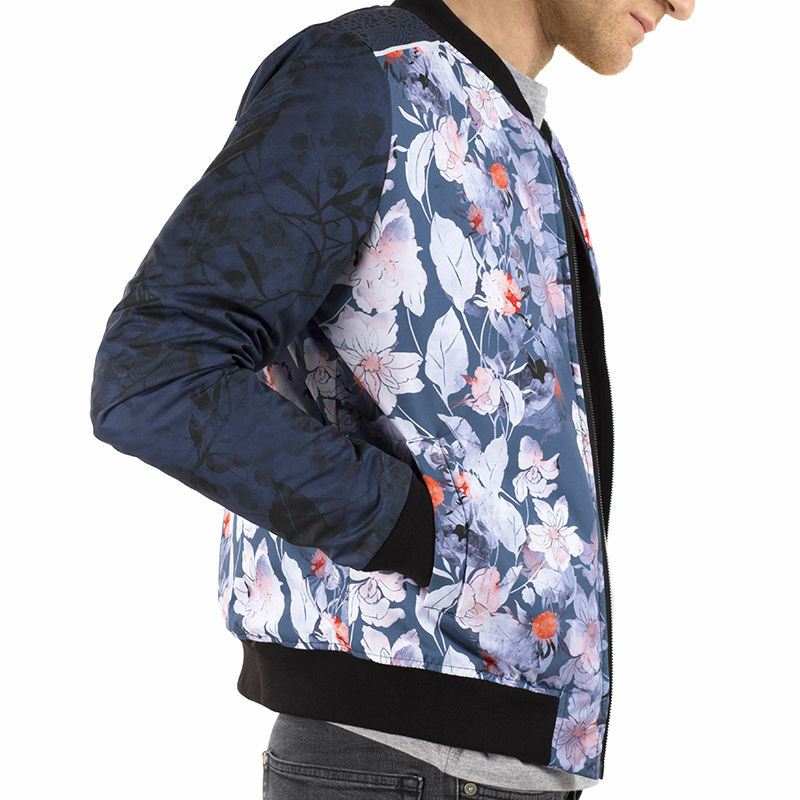 Man or woman, this personalized bomber jacket is sure to be a hit. Our Bomber Jacket is designed to be a loose fit. For a tight fit, especially for women, we recommend choosing one size down. Care: Our Jackets can be either hand or machine washed, but do not wash at temperatures higher than 90°F. Wash gently. For drying, air dry is recommended. Avoid direct heat, such as radiators or fireplaces. The fabric we use in our polyester bomber jackets does not require ironing. If you wish to iron, do not use direct contact, use cotton cloth as a buffer to help preserve your jacket. 3-year guarantee on print, material and stitching finish. Your bomber jacket is personalized and handmade to order by our textile professionals and seamstresses. We print your designs onto several pieces of fabric and stitch them together by hand to make your bespoke apparel. If you have the urge to make your own bomber jacket, you can do that right here online with us. Upload art photos, words or logos for your jacket. You can design all over it and even add your own label. Our custom printed jackets are printed panel by panel and then cut and sewn to order. Whether it's a yellow bomber jacket, silver bomber jacket or designer bomber jacket in any other color you want, we will make your colorful bomber jacket to order for you. Custom made bomber jackets are popular and fun - design yours now. Satin lining is black or white, but the quilted lining can be black, white or grey. The optional clothing label is an added area to personalize to make your men's bomber jacket entirely unique and individual to you. Printed with your name in the label and your colorful custom design, you’ll have no trouble picking it out amongst other regular coats. Give your style an edgy twist and customize your bomber jacket with rock ‘n’ roll designs; album covers, band emblems, iconic gig images. This is a special way to pay homage to your favorite band, and what’s more, no other fan will have the same one. For an on-trend look for the new season, print abstract patterns, or escape to the realm of fantasy and turn your personalized bomber jacket into a Fashion Week staple. There’s no limit to your imagination, so be as wild or as a subdued as you like. Design your own bomber jacket using our photo collage app; choose a collection of all your favorite snaps from throughout the years and upload them onto the jacket. Create one for an anniversary gift, a present for a special milestone birthday or a novelty item for your best mate’s stag do.